I'm back with another haul! I did this one a few weeks ago. I meant to upload it before my vacation but it was so hectic before hand. I picked up some goodies great for the last days of summer or any vacations you may have coming up. I love going to target for pretty much everything...food, clothes, shoes, beauty products, you name it. I picked up some great stuff for my vacation as well as some new beauty product faves. I really don't haul as much as I used to so when I do finally get a chance to test out new goodies, I love sharing it with you all. I usually use regular eyeshadow on my brows, but the Milani Brow Fix in Light has become my go to brow shades. It's a great buy. I'm wearing Milani Gems #530 on my toes right now. 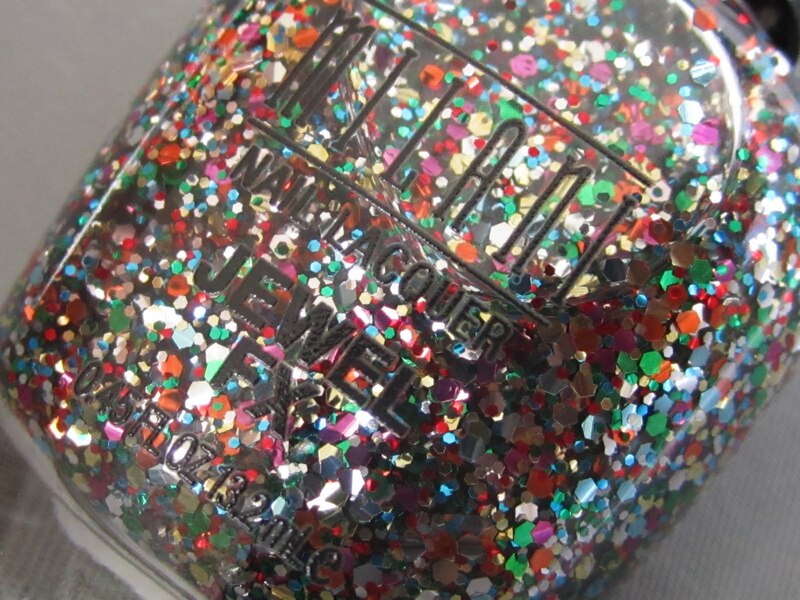 It's such a fun color and a great dupe for Deborah Lippman's Happy Birthday Polish. 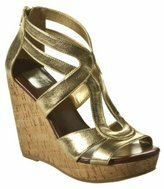 I've been looking for a pair of neutral, cork wedges that are actually comfortable. The comfort factor sold me on this pair and it was only $17 on sale! What great buys have you picked up from the drug store lately? Let me know in the comments below. Till next time, Ciao Bellas! FTC Disclosure: Post not sponsored. All items purchased by me. Love the wedges!!! I just recently picked up a pair of Mossimo® Vitia Snip-Toe Bow Flats - Animal Print on sale for $15 and they are so darn cute. I get so many compliments on them too. A total score!! I got some black patent 4 inch stiletto pumps for $7.45. Yup, less than 8 bucks. I then went back for another pair in red. Win. Great finds on the polish and wedges, must head over to Target this weekend:) I am always surprised by the goodies I find there too. I have been looking at the milani brow kit.. im trying to use up my essence one first.. oh and i love those shoes i got mines for $7 in black and brown.. I think I might try the eyebrow kit! I seriously need to tame mine, they're like a jungle even after I get them waxed! Girl Target needs to have a line through that bulls eye as a do not enter sign. i try to think of the little red balls as stop signs, but who am i kidding lol! great stuff you got there! im going to try the milani brow kit. i use the wet n wild one and sometimes even the lightest shade seems too dark for some ppl. i heart milani gems. while i always wear glitter on my fingers, i've never worn any on my toes until this last pedicure. 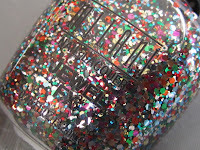 i'm wearing OPI's Crown Me Already (opaque multi sized silver glitter.) Here it's cool and raining, so when i take off my socks i have a sparkalicious surprise!